I hate online memes normally. Especially the Harlem Shake and the Running Man Challenge. Usually this is born out of a deep seated cynicism, driven by incessant media coverage and peer pressure guilt-tripping other individuals or groups into partaking in a largely irrelevant, pointless and cringeworthy task. Whilst often harmless, these crazes can have far-reaching consequences, making respected public leaders to look like tools in public, and lead to official government agencies to change the way they answer phones. But when I heard about the Cheerio Challenge this morning, I was instantly drawn in. Mostly because I thought it had something to do with delicious red cocktail sausages. 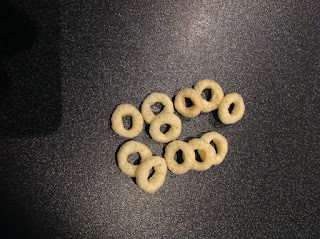 I was slightly dissapointed to find it actually referred fathers piling little ring-shaped American cereal pieces on their sleeping infants, but heck, I'd just bought some cheap Australian rip off hoops with half an intention to review them, may as well put them to good use. So tonight, the family sat down to try out the #CheerioChallenge, before John Key kills it by stacking cereal on top of a sleeping Max. In fact, what's in that bowl behind the glass in this photo? Anyway, it's fair to say our attempts were a disaster. My first mistake was, in my eagerness, not waiting for the kids to fall asleep before starting out. Given the difficulty stacking on a small moving child, we started tying using Dad as a base substrate. Handed a bowl of small banana flavoured hoops, however, the instinct of a toddler seems to be to eat them. No definitive photos exist, but I blindly fumbled my way to about four little circles, before they were snatched and scoffed. 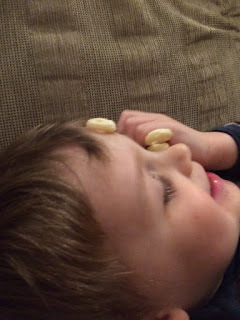 Luke was actually relatively keen to give being a base for a cereal tower a go, and lay still enough for a tower of seven to be erected between his eyes, before getting the giggles. Emily then, in attempt to emulate her brother, actually lay down and starting building upon her own face, but only succeeded in throwing a small snack into her eye socket. Of course, we were unable to threaten the record of 16!!!!! 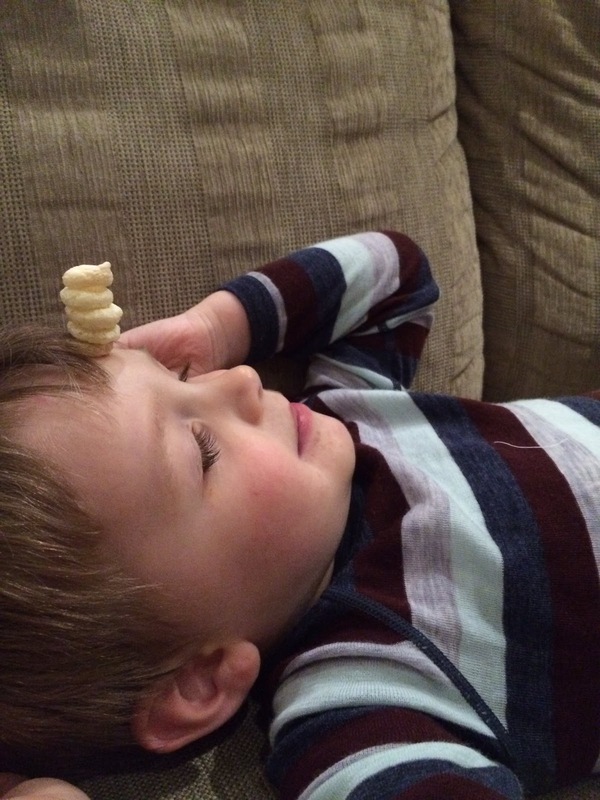 Cheerios in one stack. My hypothesis, looking at my packet of Little Bellies Hoops and Loops (banana flavour), is the lack of sugar (0.2g per serving in comparison to a full gram per serving of Cheerios) affects the adhesiveness of each grain-filled miniature donut, both to adjacent loops, but also to the skin of a small child. I'd also question how the connective qualities of organic corn stack up (pun 100% totally intended) against oats. 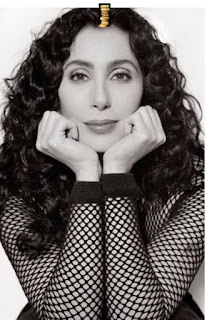 Anyway, now I've partaken in the Cheerios Challenge, I imagine it will bumble along slowly, gathering momentum until Jono and Ben invite Cher(io) to come and do it on their show (artist's impression below), followed several months later by the Silver Ferns entering the court at the Fast Netball World Cup stacking fruit loops on top of each other. 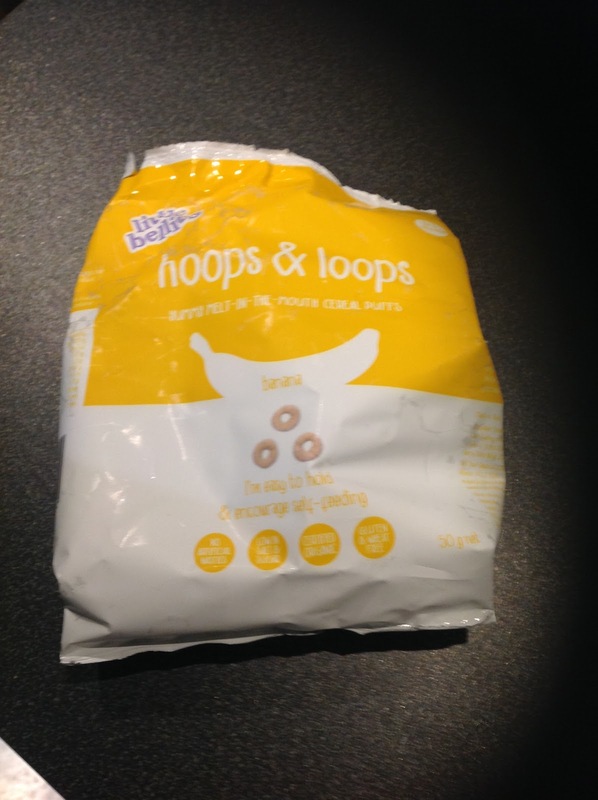 As for a review of Little Bellies Hoops and Loops (banana flavour): the kids seem to love them, but in all honestly they taste like stale dust. 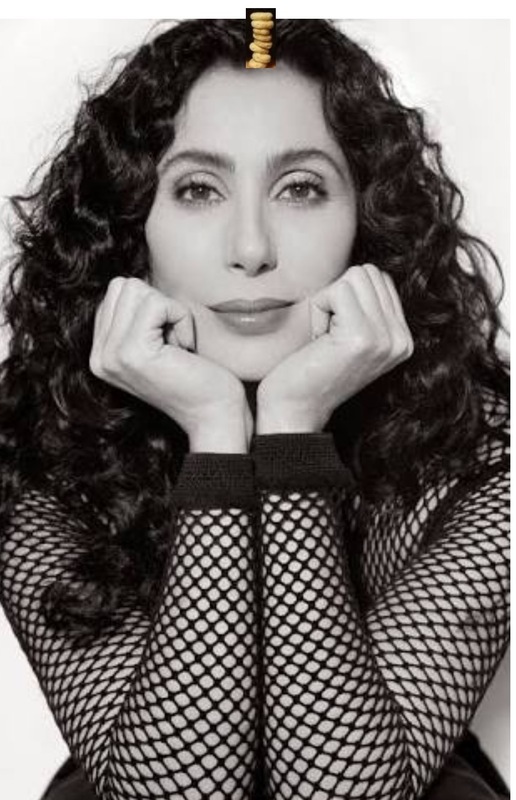 2/10.